Such a great homemade gift idea! 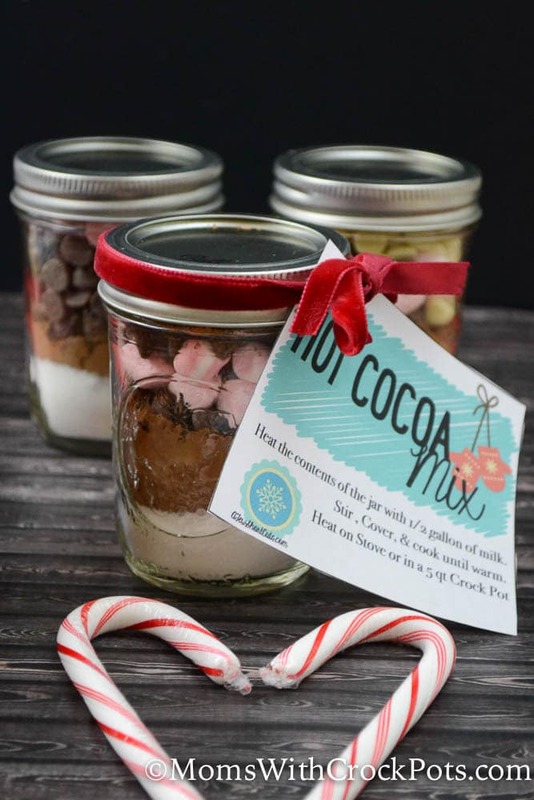 Make and give these Crockpot Hot Cocoa Gift Jars plus there are FREE Printable Gift Labels to go with it! I love giving fun useful gifts, and who doesn’t love hot cocoa. Especially in the Crockpot!!! 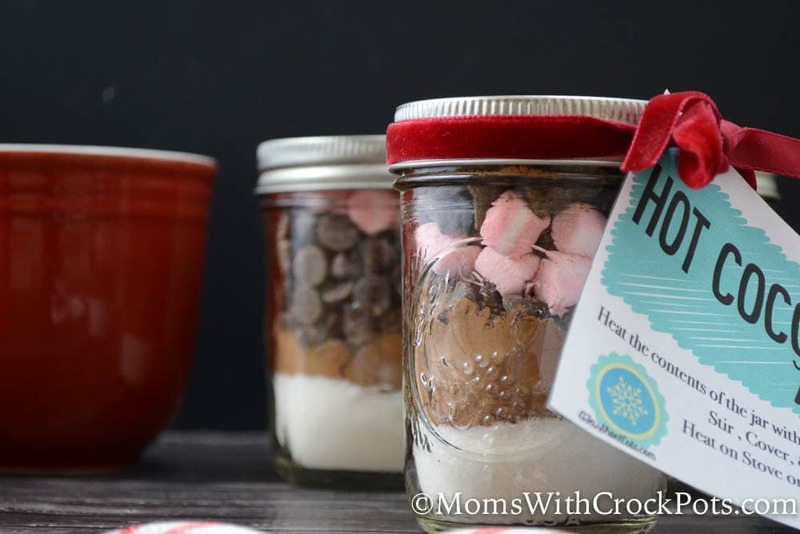 Check out how cute and easy these Crockpot Hot Cocoa Gift Jars are. These would be perfect to give to a teacher, or to include with a plate of cookies! 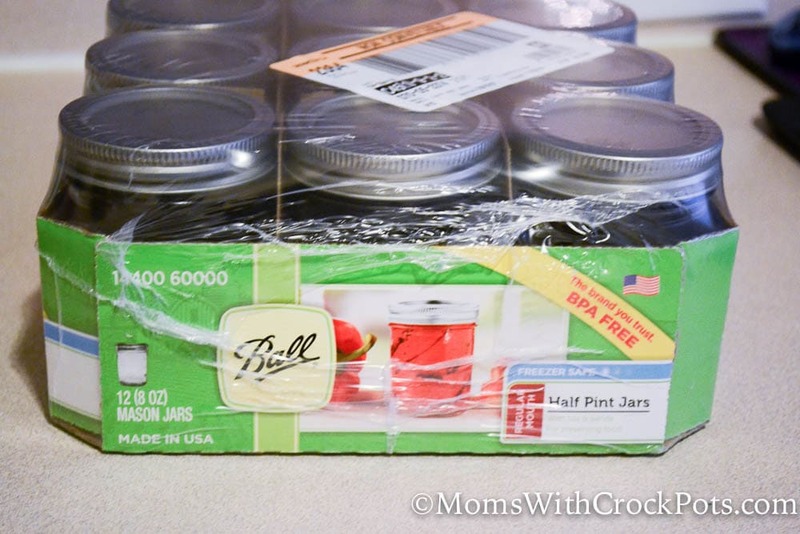 I started out with these Half Pint Mason Jars. I picked up a 12 pack at target for about $8! You can also order them online. You can also do a mixture of any type of chocolate chip. I love these Enjoy Life Chocolate Chips if you are looking for a dairy free option. I printed mine on plain paper and just hole punched and tied a ribbon right through them. These are so much fun to give and to make! Mix with 1/2 gallon of milk. Use Semi Sweet Ghirardelli Chocolate Chips and mix with your choice of dairy free milk.